St. Marks Place in NYC's East Village is a haven for late night munchies. There's plenty of yakitori, sake and ramen to go around but just around the corner on 2nd Avenue is a change of pace from all of the japanese restaurants- Pommes Frites. Served up in a paper wrapping, these are the ultimate fries. They're fried twice unlike your run-of-the-mill American fries and they're not meant to be eaten with ketchup. What are they supposed to be eaten with then? The answer is just about everything else. 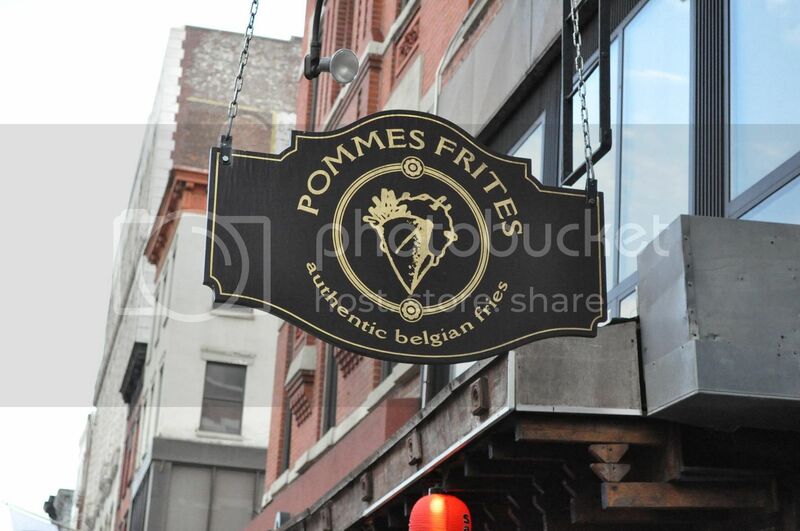 Pommes Frites has 26 dipping sauces which they'll happily let you try before you choose. Our favorite is the Mango Chutney Mayo get it with a regular size frites (more than enough) for $4.50.